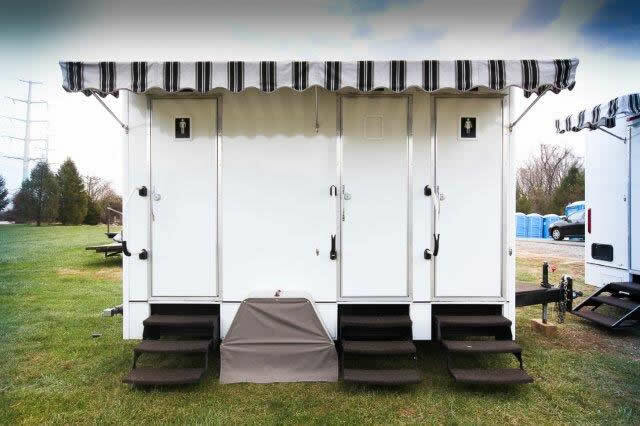 The 14' Porta Lisa works great for that small garden party and contains 1 private for men and 2 privates for women. 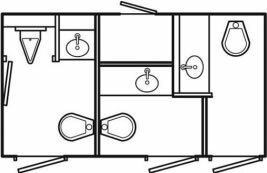 The interior hosts vanity sinks with hands-free spigots, low flush push button toilets, large full view mirror, and heat & air-conditioning. 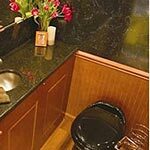 Outside skirting, and carpet runners. 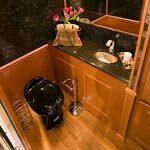 The 14' Porta Lisa will accommodate up to 100 guests. 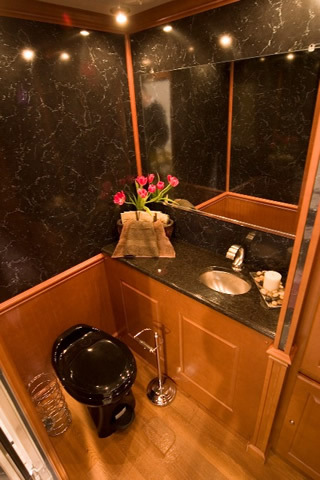 The 14' Porta Lisa requires the following for operation: One 20-amp, 110 volt receptacle, no greater than 100 feet from the trailer, and a water connection from a standard spigot no greater than 150 feet from the trailer.